Last weekend, when I visited famed horror writer H.P. 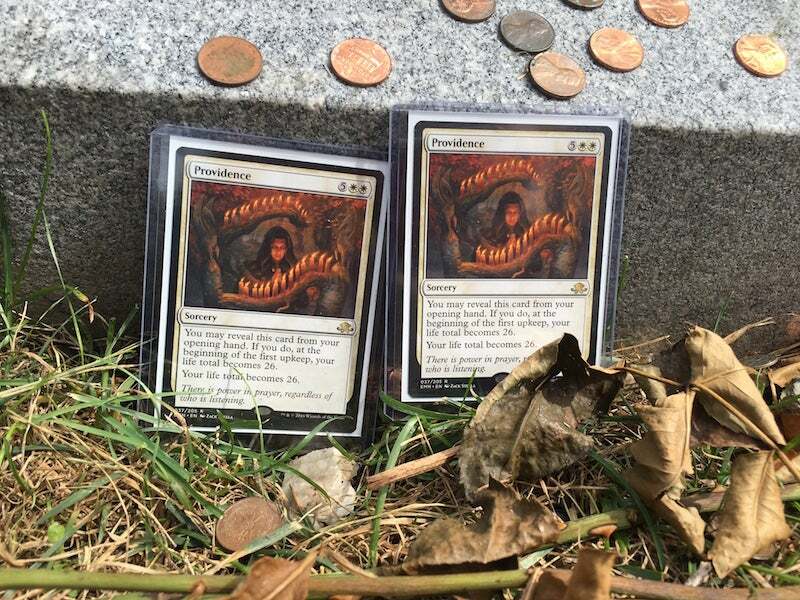 Lovecraft's grave in Providence, Rhode Island, I found these Magic: The Gathering cards leaned against his tombstone. 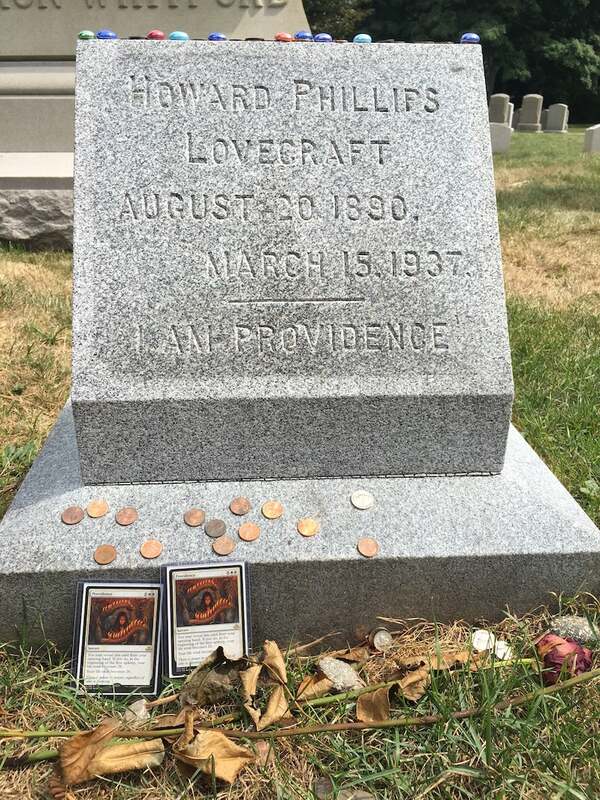 Presumably a tribute to the novelist, whose tombstone reads "I am Providence," these "Providence" cards say, "There is power in prayer, regardless of who is listening." Lovecraft was an atheist, but the gesture is still cute. I am surprised they are still there. Well they're only worth a few dollars. And not too many people will stoop to robbing a dead man, least of all for common Magic: The Gathering cards. Last time I check the gold emblem meant that they were rare?